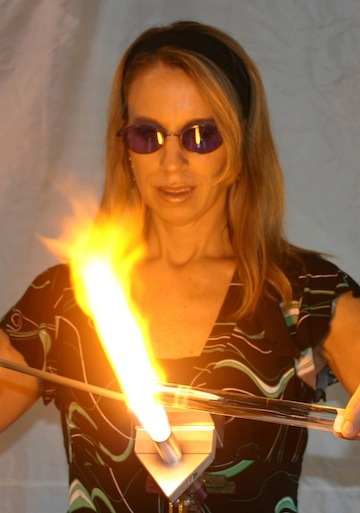 I am a self-taught, flamework glass sculpture artist and have been working with boro glass since the age of 19. Using a torch, glass, natural stones, corals, and gold, I am able to create designs that are unique and collectible. I am known for my sea life sculpture and jewelry, including my signature Nautilus designs, which are now offered at the Dali Museum in St. Petersburg, Florida where I now live. I believe in creating your own path to find your own happiness, and I can express my love for the sun, the sand, and the sea through glass art.